A small evergreen shrub, 60cm tall. 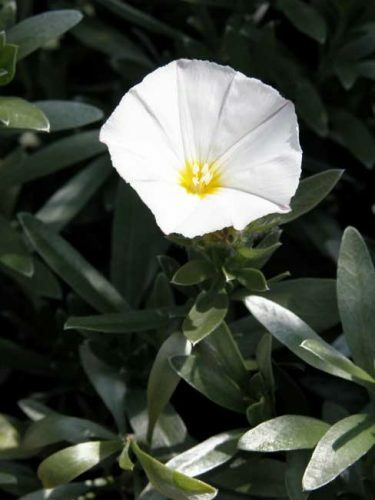 The elegant white flowers are funnel-shaped and the narrow, silvery leaves are evergreen. Prune lightly after flowering. 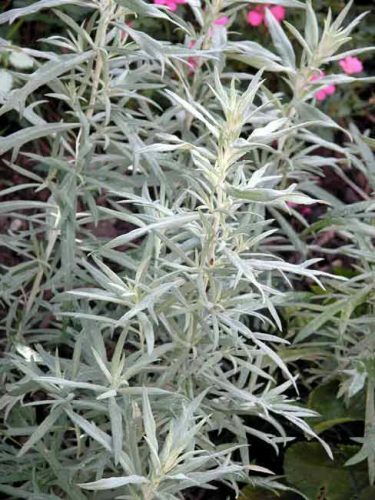 From mid-summer to autumn, rather insignificant flowerheads appear, but Artemisia is grown primarily for its beautiful aromatic foliage. 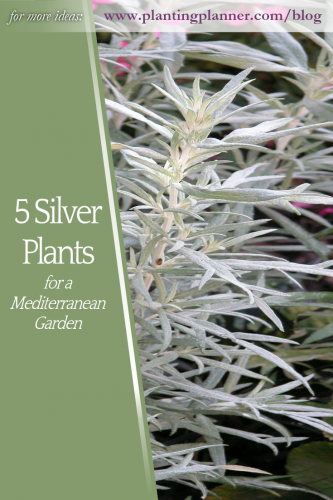 Artemisia ludoviciana ‘Silver Queen’ has narrow, deeply divided, silvery foliage, borne on upright stems. Cutting back the flower stems will make the plant less inclined to flop, and also helps to reinvigorage the foliage colour. If not cut back or supported by other plants, it may need staking. 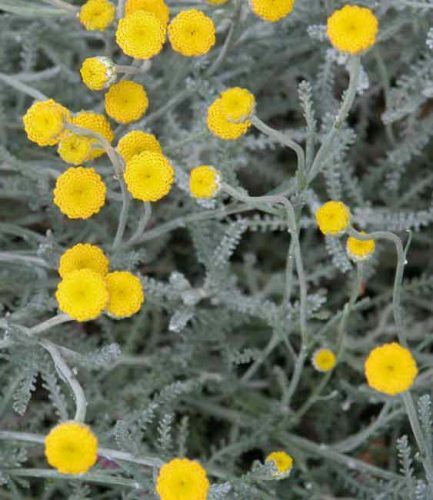 S. chamaecyparissus – cotton lavender – has silvery-green, narrow, finely divided leaves. Bright yellow, button-like flowers are carried on long, slender stalks in mid- and late summer. The flowers are enjoyed by bees. The woolly, aromatic leaves act as a moth repellent. A mat-forming perennial spreading by rhizomes to make good ground cover. 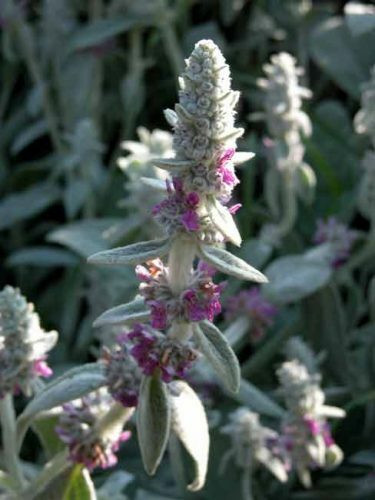 The strokeable, velvety leaves are grey-green, felted silver. Between early summer and early autumn, upright stems carry clusters of woolly, purple-pink flowers. Stachys likes well-drained soil in full sun. 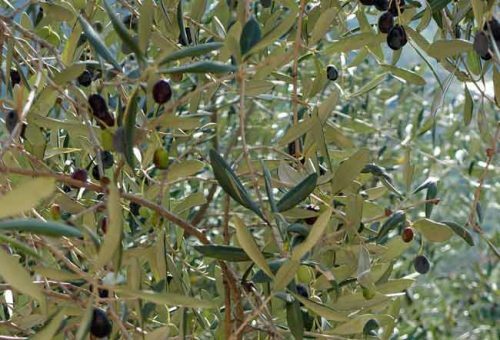 It is tolerant of poor soil conditions. Its flowers are attractive to bees and butterflies. The jewel of Mediterranean planting schemes, gloriously scented lavender. 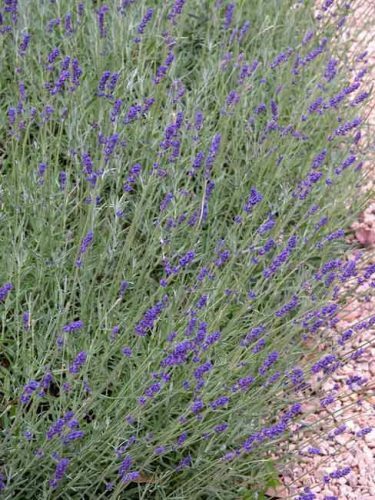 A traditional favourite, lavender is a bushy, evergreen shrub, grown for its wonderfully fragrant summer flowers and aromatic foliage. Lavandula angustifolia has silvery-green, linear leaves. Spikes of dark purple flowers are carried on long stalks in mid- and late summer. It is a long-lived plant but will become leggy unless pruned regularly. Cut back immediately after flowering, removing the flower stalks and some of the current year’s growth. Avoid cutting into old wood. For dried lavender, choose a dry day to cut the flower stalks just before the flowers are fully open. Tie in bunches and hang upside down in a dark place. 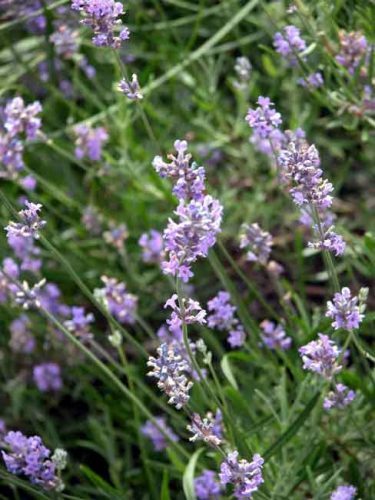 Lavender is rich in nectar and is well-loved by bees, as well as other friendly insects. Any seedheads left on the plant are attractive to finches.